Find out how you can make an impact! Strength lies in a solid foundation. My name is Melissa and these are my two daughters Izabella and Jozlynn. 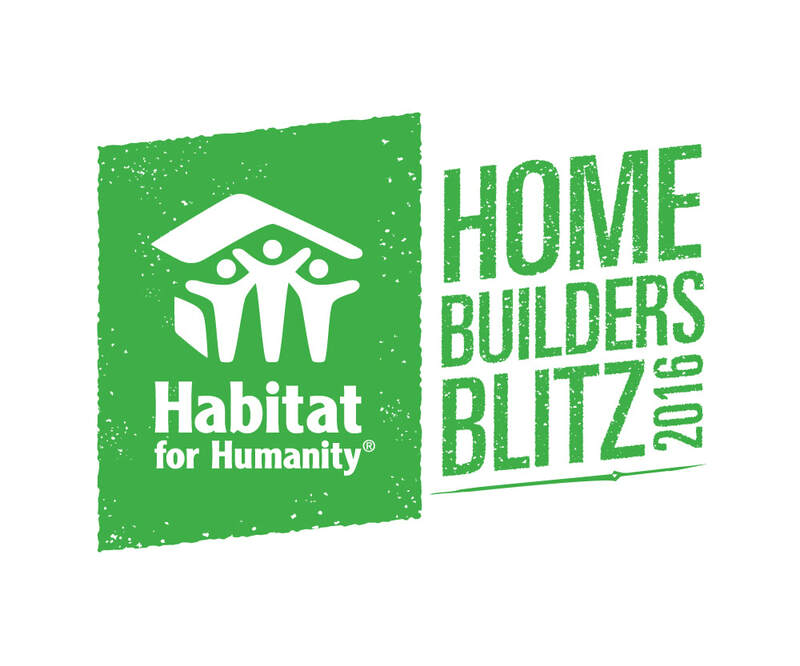 We helped build our home in 2016, a Habitat Blitz Build home. I cannot explain how much it means to me and the girls that we had this wonderful opportunity to build a home not only with each other but with family, friends and the community. When I was a young girl I had the typical dream of going to college, getting a great job, falling in love and then having a family. Things didn't quite work out that way, and needless to say I have done my life completely backwards, however I would not change it by any means. ​There have been many ups and downs for the girls and me. With the help of my wonderful children, my family and my girls' family I finally started having faith and strength in myself to know that I was capable of going out and getting whatever I wanted as long as I was willing to work hard for it. In 2015, everything started to change for me. I finished my degree at Northwest Tech and I got the opportunity to start at a wonderful job which then led me to take the next step of applying for a Habitat Home. We moved many times, in fact 23 times in 13 years, and when I applied for my home we were living in a small apartment that was not necessarily the safest place and most of the time we didn't even call it our home, it was "the apartment" or "the house." I had not put up any pictures or anything on the walls for the 2 years we lived there because I wanted to remind myself that it was not a permanent place. Self-reliance is reinforced by affordable housing. ​We were so excited to say that, in 2016, it was the last time we would have to move, and it was going to be moving into our home. Here we are able to hang things on the walls, paint it whatever colors we want, play outside, feel safe, but most of all make many memories. This is not only an accomplishment that I had wanted to make for a very long time, but as a mother I feel like I am giving my children something that they deserve. They are my rock and have always supported me even when I was crabby and overwhelmed. My girls deserve a stable home way more than I do. Shelter is the key to success. There are so many things I want to say, but I'll just say thank you everyone who supports Habitat, especially the volunteers, staff, and the Builders who have worked on so many Habitat homes. You all make it possible for families to actually feel like they have a home, not just a place to live. You are helping so many people realize a dream they have longed for and that may never otherwise happen. ​From footings to dedication, it takes many hands to build a loving home!